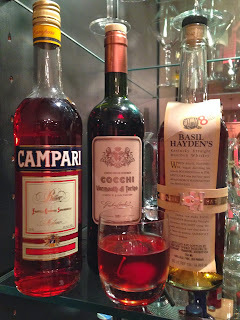 The Boulevardier is the cocktail of choice these days for Mr. C&G. 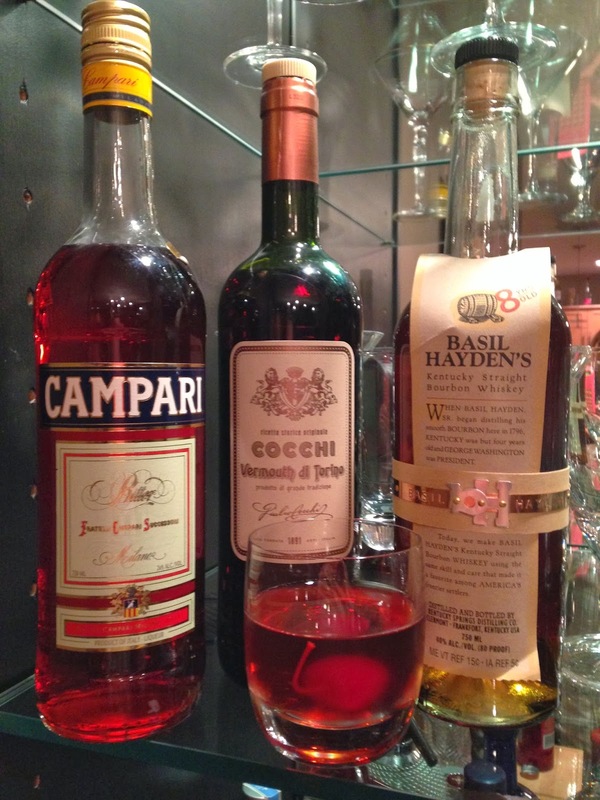 It's the perfect cold weather version of his summertime favorite, the Negroni. Swap out the gin with bourbon and you've got a classic drink that dates back to the days of Prohibition. Legend has it this cocktail was created by bartender Harry McElhone in Paris at his eponymous Harry's New York Bar for the wealthy American Erskinne Gywnne. The Vanderbilt nephew obviously used his money wisely, by fleeing to Paris while the rest of our country suffered under the Volstead Act. The cocktail arrived on our shores after the 21st Amendment lifted the ban on alcohol in 1933 and it's been a staple of classy cocktail drinkers ever since.